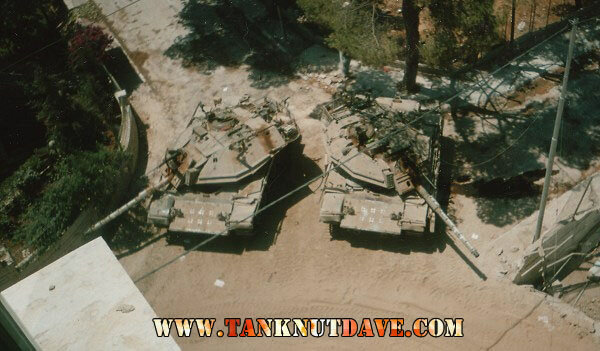 The Israeli Magach Tank Series are various Marks (upgrades) of American Paton Tanks completed in Israel. After World War 2, the British Army was no longer able to control Palestine and passed the responsibility to the UN who decided to divide the country in to states. A bitter war broke out with Arab countries not wanting a Jewish state created. Jewish forces had started to invade Arab villages clearing them of Arab’s and expanding their designated 55% of Palestine territory to 78%, prompting military intervention from the Arab League. When a ceasefire was called in 1948 the UN recognised the new Israeli state. 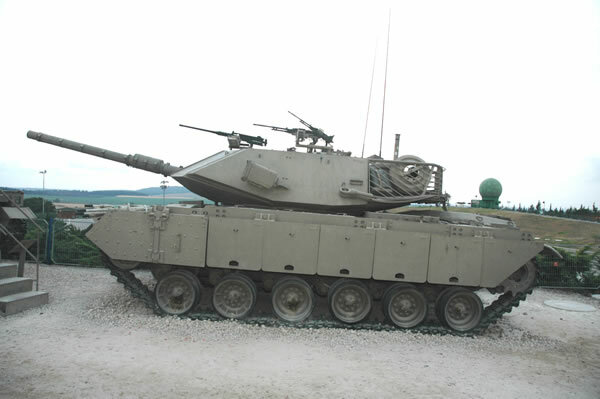 With the Arab armies still occupying the remaining Arab territory’s of Palestine, the Israeli Defence Force seriously lacked armoured fighting vehicles and with restrictions implemented on countries to export new fighting vehicles to Israel, it was forced to buy second hand tanks that were of older generations such as the US Sherman and British Centurion. The IDF Ordnance Corps built a production line to standardise them and they were given new designations, such as the Sherman was AKA the M-50. 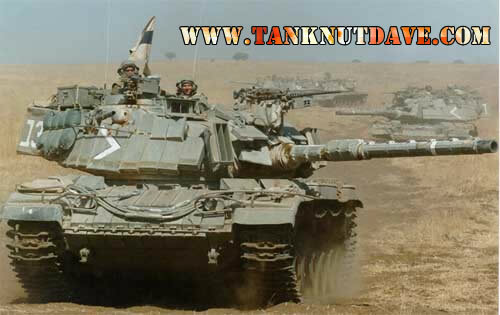 Another series of tanks that were modified by the IDF Ordnance Corps was the US Patton tanks, the M48 and M60, AKA the Magach. They were originally M48 A1 & A2 imported via a German arms dealer, but were stopped due to the above-mentioned restrictions and were supplied surplied directly by the US. The 90mm cannon was replaced with the battle proven L7, a replacement AVDS 1790a diesel engine and a CD-850-6 auto transmission. Along with new communications systems, it was fitted with ERA – AKA ‘Blazer armour’. Same as Magach 3 but these were M48 A5’s. Blazer ERA added and RISE engine. A new main gun stabilization system was also added and the same tracks used on the Merkava. New passive modular armour, also doubles up as a stand off armour AKA spaced armour. Front modulars were reshaped to form an angle arrow shape, rather than the vertical front of the Magach 7. Equipped with Blazer ERA and the US’s RISE automotive modifications, all A6’s upgraded to this. Was an up grade to the fire control system during the 1990’s with a new system called Gal. The Magach 6B Gal Batash, saw the up-grade of the armour with fourth generation passive armour and additional armour plates on the chassis and the turret.